Looking for some gun related Christmas gift items on Etsy.com of all places. This is where all the handmade goods makers congregate, and some craft type people as well. But not only do they make cutsy items to sit on your mantle, there are also some twisted guys churning out guns that can only star in a future sci-fi flick. 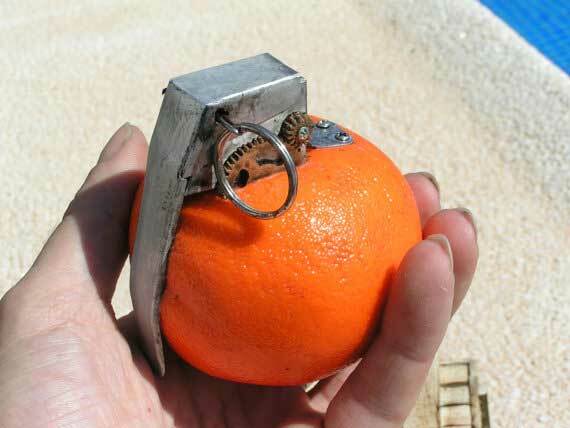 Most are made from Airsoft or BB guns, with the odd Nerf gun thrown in too. Some of these items are pretty interesting. 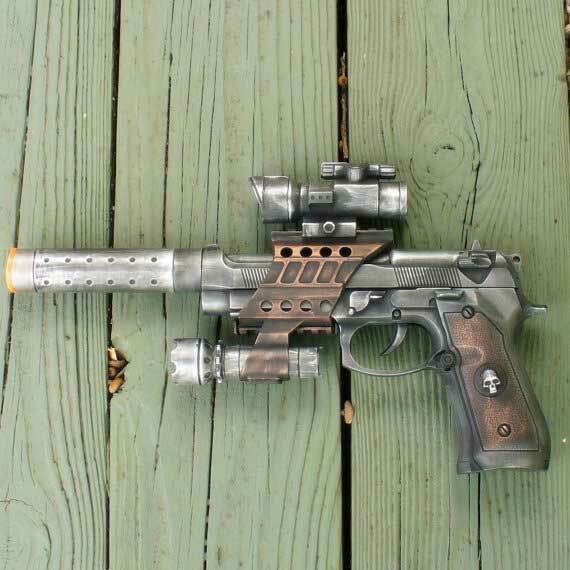 This Broomhandle Airsoft BB gun has Hans Solo written all over it. The skull and crossbones is a nice touch too. 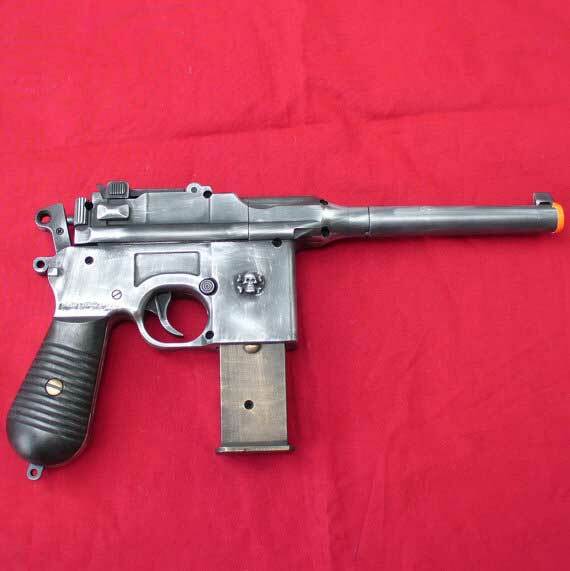 Offered by the OldJunkyardBoutique for only 34 bucks, and it's a shooter too, how can you resist? 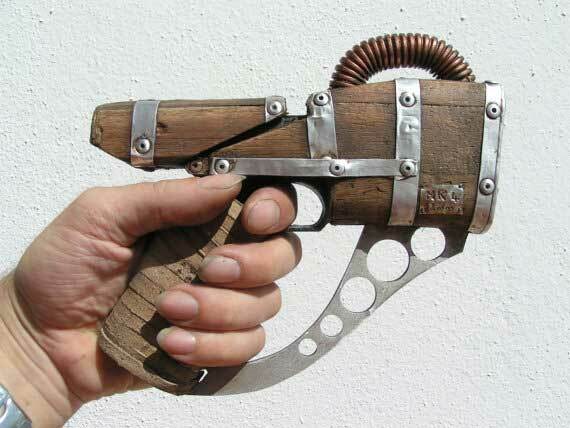 Another cool Steampunk gun from Umbrella Laboratory looks to be a Beretta 92 under all the gear, but says it started out in life as a toy or prop gun and consequently doesn't fire. Pretty cool anyway, only 25 bucks and it has a cool skull on the handgrips.